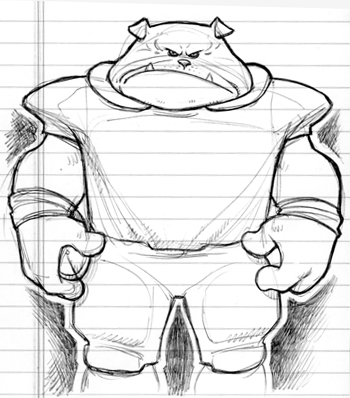 As I said in the previous post, my pen is now in mascot mode, hence the football-playing bulldogs of today’s offering. 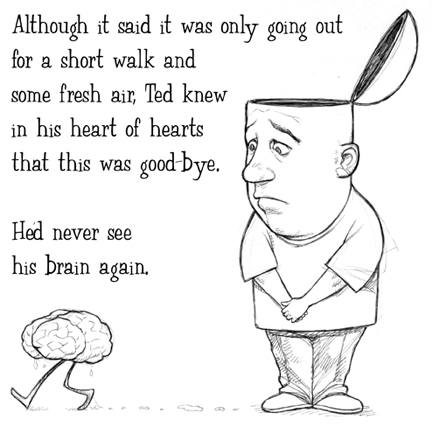 I am experimenting with different approaches to the same character, and I was wondering if you, the reader, had a preference. 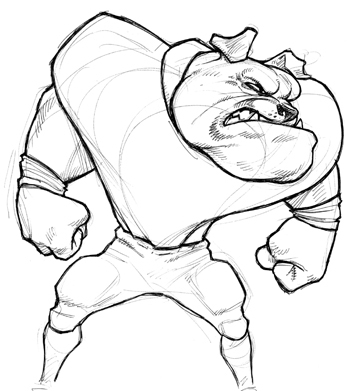 I feel like the first one is too cliché, a mere rehashing of the same old bulldog everyone uses. I prefer the second one myself, since he’s a bit more original. I also like his solidity. To me, he looks like the one voted “most likely to take a direct nuclear hit and walk away from it unscathed” by his fellow classmates at mascot obedience school. SQUIRRELS: Bushy-Tailed Rats with Good PR! Forget guns. Forget traps. Forget poison. High-grade explosives. THAT’S the best way to deal with squirrel infestations. 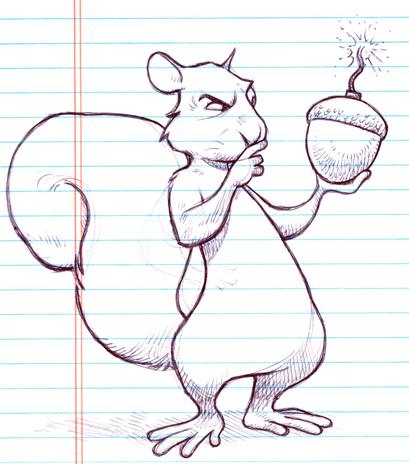 Now, if I can just figure out how to get a small-scale nuclear device into an acorn-shaped package…..
‘Tis better to have loved and lost your mind….